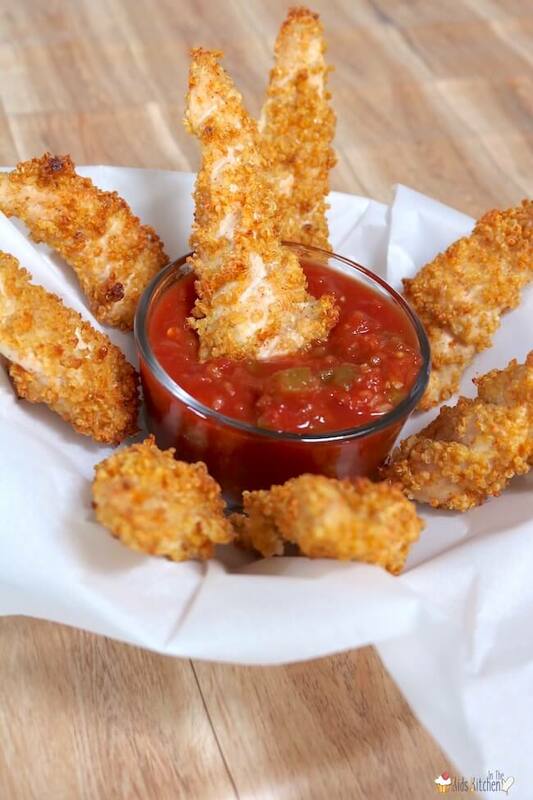 Inside: If your kids love chicken tenders, you’ve got to try our healthier Quinoa Crusted Chicken Fingers! Crunchy on the outside, tender and juicy on the inside — a guaranteed hit you can feel good about serving them! 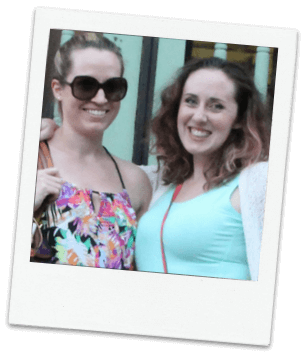 It’s not easy to always have healthy meals on the table when you’re busy (which is why these thirty minute meals are such a hit! ), but it is important. As a kid, one of our go-to dinner staples was chicken fingers. I adored the crunchy taste and dipping them into whatever sauce I could find. As an adult, I still love chicken fingers but knowing how easy they are to make I normally opt for this healthy chicken finger recipe instead! 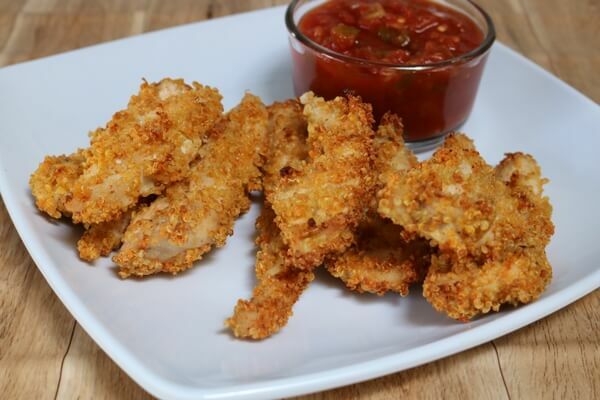 These chicken fingers contain simple ingredients (no preservatives here! 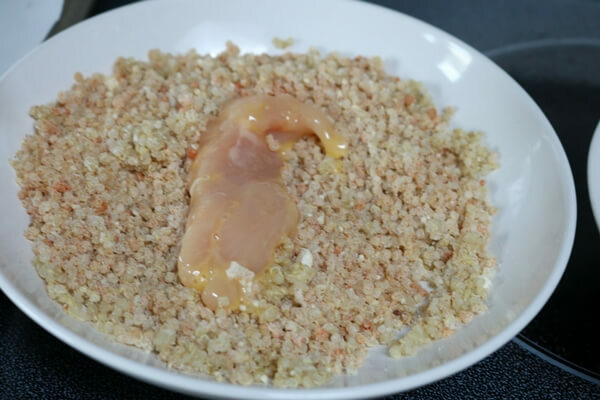 ), real chicken and one of my favorite super foods: quinoa! Quinoa is known as a “wonder grain” and a “superfood” because it’s both an amazing grain source and as well as a complete protein! 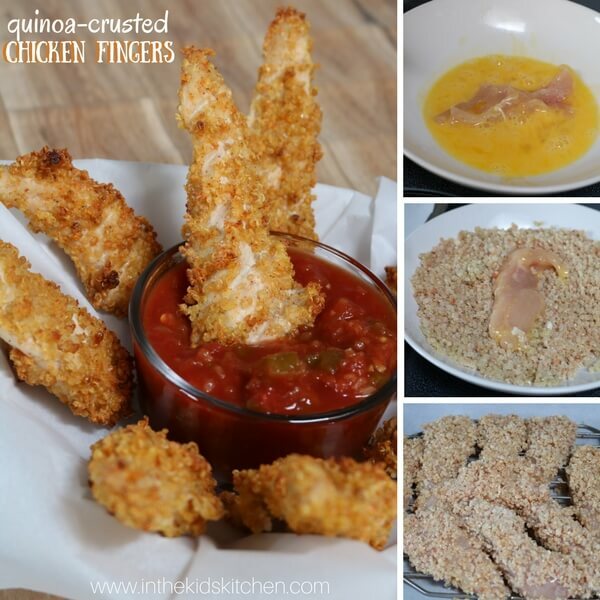 It’s a great alternative to basic wheat and gives these chicken fingers a bit of crunch. Plus, it contains a number of B vitamins (like folic acid) making it perfect for kids and parents alike. 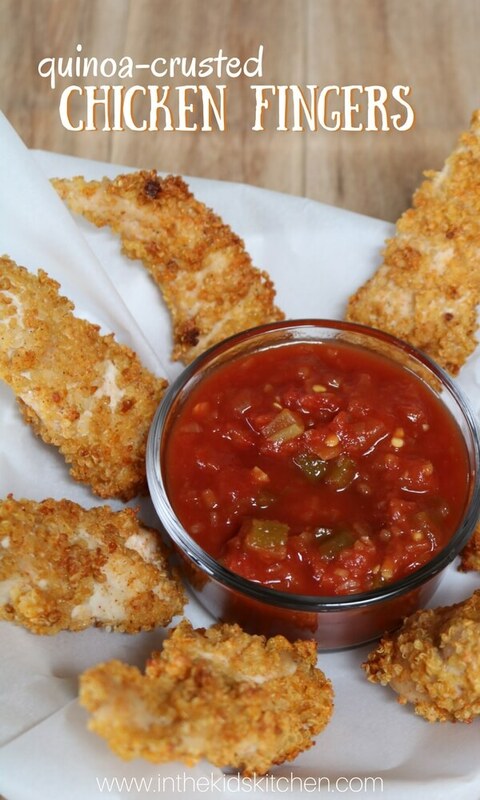 I like to dip my chicken fingers into homemade chunky tomato sauce (try this amazing tomato sauce recipe) or salsa but plum sauce or thai sauce works too. Make a big batch with multiple sauces and let everyone pick their own! 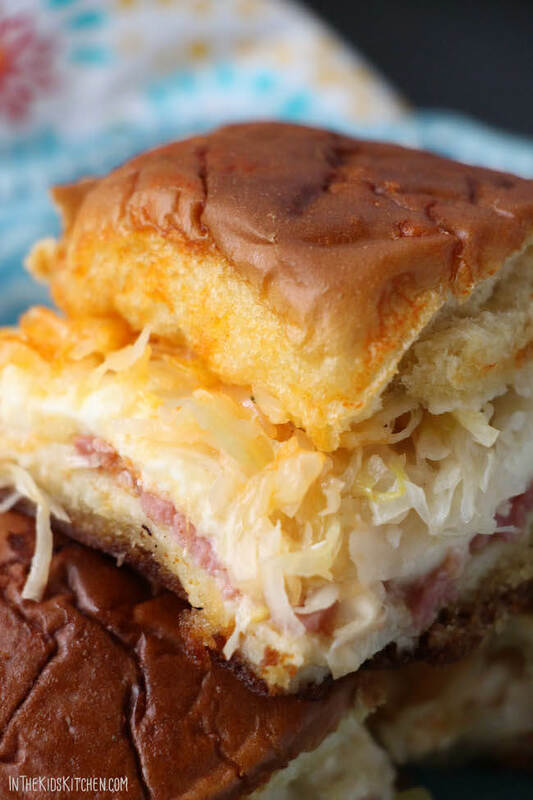 This is a quick list for your convenience with shopping links (wherever possible); full printable recipe with ingredients/directions available at the bottom of the post. Line a large pan with parchment paper or tinfoil and place a cooling rack on top of it. The rack helps the coating cook both sides so when you flip you don’t lose as much of the batter. Coat the rack with non stick spray or coconut oil. 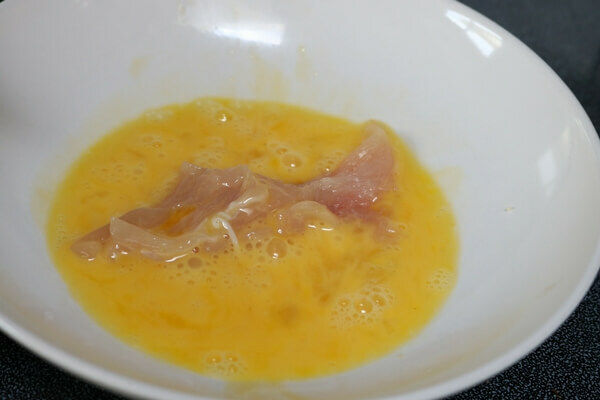 Begin dipping: place one chicken strip into the egg and coat it fully. Then place it into the quinoa mixture tossing until coated. I press the strip into the quinoa (and vice versa) so it really sticks. Lay the trip on the cooling rack lightly. ]repeat this with all strips (my two breasts made 13 strips). Once finished, place the strips in the oven and bake for twenty minutes. Remove from the over and very carefully use a pair of tongs to flip the strips trying not to let too much of the batter stick. Place the pan back in the oven and cook for another twenty minutes. After which, turn the over off but let the strips cook for another five minutes. Remove from the over, place on your choice of dish and pair it with your preferred sauce. Line a large pan with parchment paper or tinfoil and place a cooling rack on top of it. The rack helps the coating cook both sides so when you flip you don't lose as much of the batter. Coat the rack with non stick spray or coconut oil. Chicken fingers are a staple for most kids so why not boost their nutrition while they devour them? 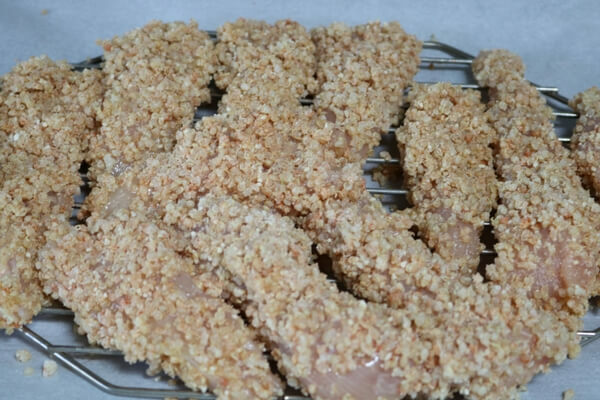 These homemade quinoa crusted chicken fingers are a great alternative to store bought and simple enough to whip up for family movie night. 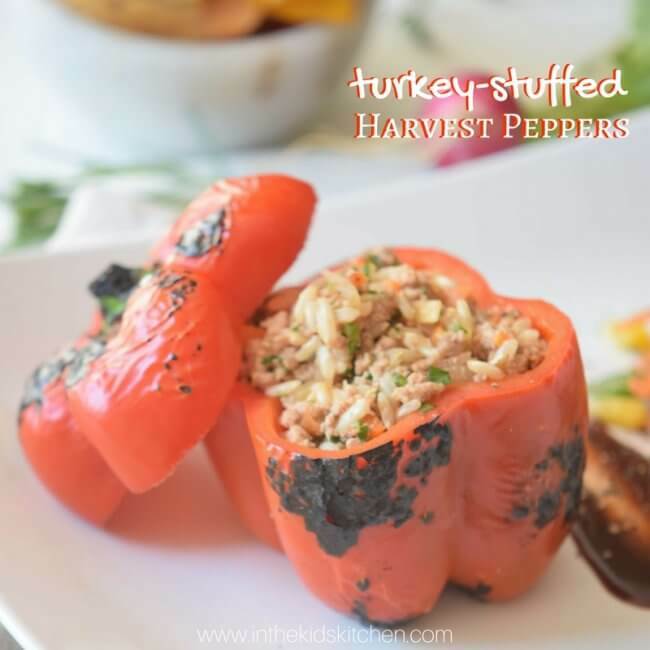 For more healthy 30-minute meals, check out our Healthy Turkey Rice Stuffed Peppers recipe or our Baked Reuben Sliders recipe.